The proportion of children living in a conflict zone has increased by more than 75% since the 1990s. Every year on August 12, the United Nations celebrates International Youth Day. It’s a chance to recognize the potential of young people to change the world for the better, and to highlight the challenges and problems they face. Here are seven things you need to know about young people today. Four in 10 people – 42% of the global population – are aged under 25. 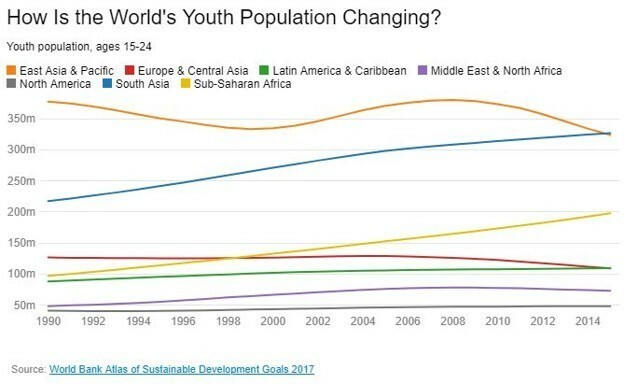 While in most areas of the world populations are decreasing or flatlining, in South Asia and Sub-Saharan Africa they’re increasing. Nearly half of the world’s young live in Sub-Saharan Africa. 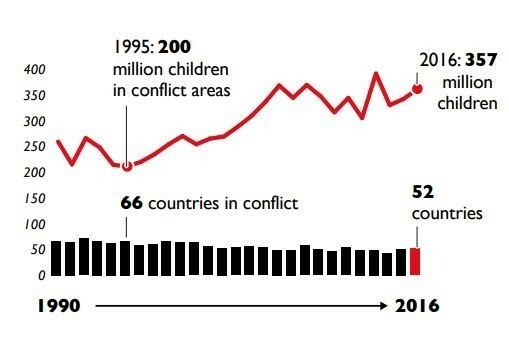 The proportion of children living in a conflict zone has increased by more than 75% since the 1990s. And that is despite an overall reduction in conflicts. In 1990, there were 66 countries in conflict and 200 million children living in affected areas. By contrast in 2016, this figure had increased to 357 million children while the number of countries in conflict had decreased to 52. Syria, Afghanistan and Somalia are among the worst places for children because of their ongoing conflicts. Far from being safe havens for children, schools and hospitals frequently become targets in conflicts. 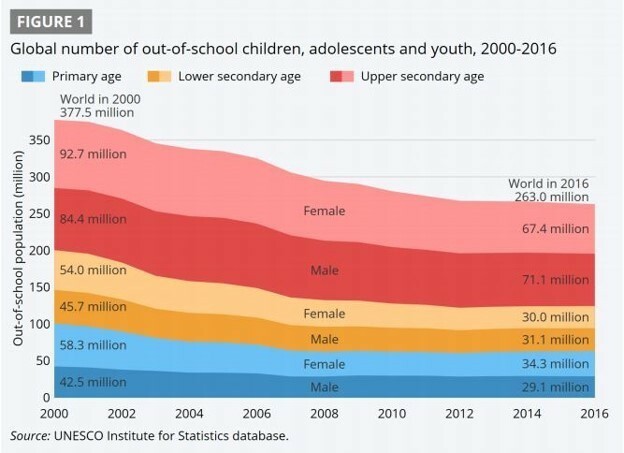 In 2016, 263 million children were out of school, according to the UNESCO Institute for Statistics (UIS). The total includes 63 million children of primary school age, 61 million adolescents of lower secondary school age and 139 million young people of upper secondary school age. Many of those children are out of school because of conflict. According to the UNHCR, over half of the world’s refugees are children. Between 1997 and 2017, the youth population grew by 139 million, while the youth labour force shrank by 35 million. An estimated 70.9 million young people were unemployed globally in 2017. While this number is an improvement on 2009 when 76.7 million were unemployed, youth unemployment is rising again. However, there are reasons to be optimistic. There is plenty of evidence to suggest that young people are prepared for the rapid technological advances that are changing the way we live and work. Access to the internet is a critical factor in lifting populations out of poverty and ensuring economic growth and prosperity. 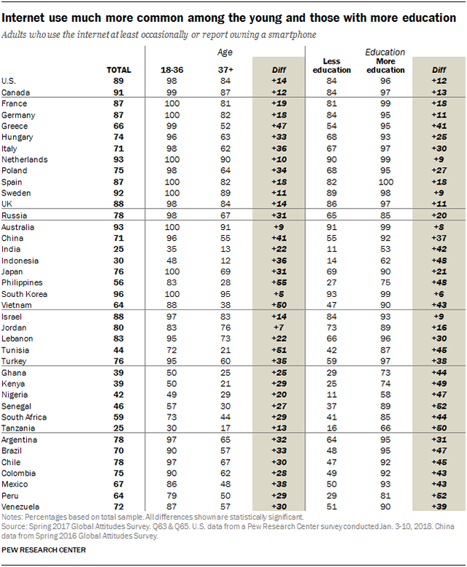 Across the world, young people aged between 18 and 36 use the internet more than older generations. In some cases, such as the Philippines, Tunisia and Vietnam, it's by 50% or more. Young people’s increased use of the internet is good news, because in the future work will depend heavily on technology. Almost two thirds (65%) of children entering primary schools today will end up in a job that doesn’t yet exist. 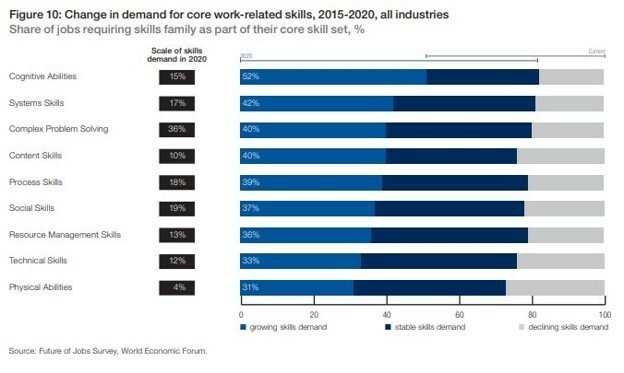 Technology will be at the heart of most of tomorrow’s jobs, and computing and advanced technological skills, such as knowledge of artificial intelligence, will be highly sought after. Far from being fearful of an uncertain future, the majority of young people are optimistic about the impact of technology and innovation. According to the World Economic Forum Global Shapers Survey, 78.6% think technology is “creating” as opposed to “destroying” (21.4%) jobs. In addition, they are keen to be part of the new world of work. They think that having a “start-up ecosystem” and “entrepreneurship” are the keys to giving young people a future. Millennials – those born in the mid-eighties but before 2000 – think that climate change and conflict are the most critical issues the world faces. In addition, nearly all believe that we’re responsible for climate change. International Youth Day celebrates the idea that young people hold the key to the future. 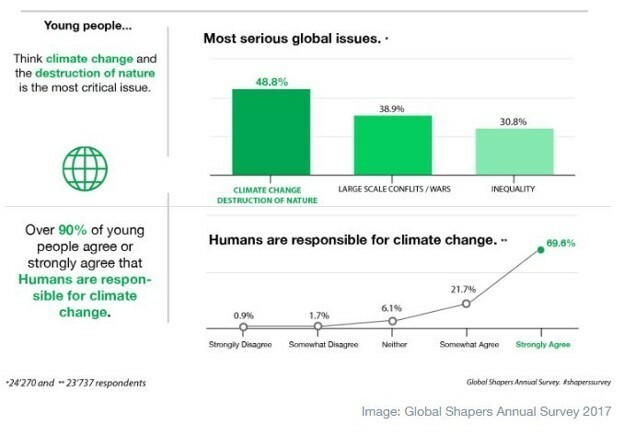 But according to the Global Shapers Survey, young people feel their voices are not being heard.